USA Today baseball writer, Bob Nightengale (@BNightengale), set off the bomb early in the free agency period for Major League Baseball. Nightengale wrote a piece “Bryce Harper will sign with the Phillies. 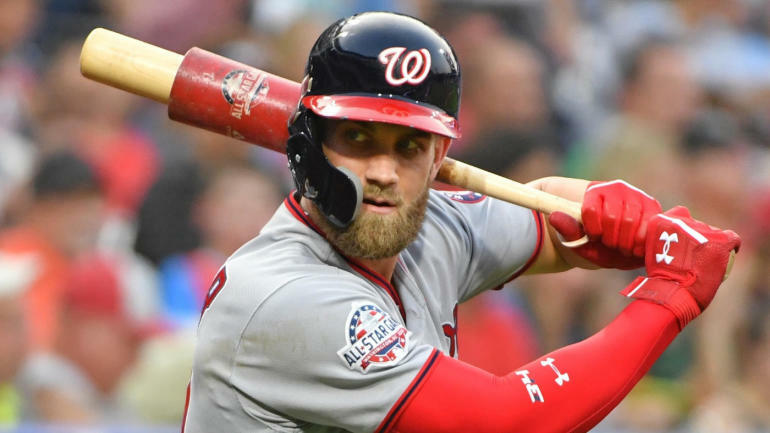 You can bank on it.” and it was at that very moment where the Philadelphia Phillies were boosted to a frontrunner for the 26 year-old superstar Bryce Harper. Following the most tumultuous day of the Harper Sweepstakes, baseball fans as a whole are wondering when it will end, Nightengale announced on Twitter that the wait on Harper could last into mid March. Phillies fans might need to ask a different question. Are we actually “IN” on Bryce Harper? Yes, Phillies Majority Owner John Middleton said the team is going to “spend money” and be “a little stupid about it”. Yes, Harper’s “super agent” Scott Boras is the perfect agent to “wow” with such a comment. With that being said, there is a great possibility that’s the only reason the Phils are even in the conversation. The Phillies have met with Bryce. There hasn’t been any word on an official offer, but if they have, it would most likely be the largest amount of money. So why wouldn’t Harper accept it? In my opinion this whole Harper Sweepstakes is weird, and Scott Boras has been a snake before. There’s a very good chance that Harper isn’t actually interested in the Phillies. It seems like the Phillies are a smoke screen and their name is being thrown out by Boras to spike interest from any of the locations Harper would prefer. As much as I personally want Bryce Harper to rock the red pinstripes, I think he goes elsewhere.